Wildlife ACT is officially contracted by the international wild cat organisation, Panthera, to conduct Leopard population surveys within South Africa using remote camera trapping methods. The survey is the largest on leopards of its kind in the world where we’re working together with provincial parks to help inform management to improve leopard conservation. Leopard management is typically guided more by experience or anecdote than hard science. This project aims to collect real data on leopard population trends which can inform management decisions and assess the impacts of conservation actions. Wildlife ACT volunteers assist with the leopard monitoring in KwaZulu-Natal. This involves setting up, maintaining and taking down the cameras at different locations, checking the SD cards and recording data as well as helping with identikits for each animal if necessary. Volunteers also help collate the photographs of non-target, priority species (Black and White Rhino, Elephant, Lion, Cheetah, Wild Dog) for management and monitoring purposes. Wildlife ACT volunteers can select this project in conjunction with the Endangered Species Conservation project. Most volunteers who come for more than two weeks spend two weeks on the Leopard Census project and then do a multiple of two week sessions on the other Wildlife ACT project sites in Zululand. The Leopard Survey has taken place on various game reserves in KwaZulu-Natal including Somkhanda, the uMkuze section of iSimangaliso Wetland Park, Ithala Game Reserve and Hluhluwe-iMfolozi Park. Other sites are added annually for once-off surveying. Wildlife ACT’s main focus on these short-term Survey projects involves setting up and/or taking down the motion sensor cameras at different locations – (note that this occurs at the beginning and end of each survey – which lasts for a 2-month period). The ongoing fieldwork for the Leopard Survey team involves driving to each camera site within the reserve. At each of the sites the team will check to see that the cameras are active and are still attached to the poles correctly to get the best leopard photos. (The cameras may have been bumped off by curious animals). The team will change the batteries and download the images from the cameras on to a USB device to work through back at the camp. There may also be a need to clear some vegetation or make natural barriers to protect the cameras and their very important data from inquisitive animals. Incidental monitoring of any other priority species animals on the reserve will be recorded as incidental sightings, during the course of performing the camera trap fieldwork. Back at camp the team will download all the photos collected and then start the very important task of sorting and categorizing them into different Priority Species Folders. This may take some time behind a computer at camp, however by doing this you will be greatly assisting the reserve with crucial data for optimal management of the wildlife area. Camera download days are usually only 4 days of the week. The camera downloads take on average 4 – 7 hours on any given day. Once the selected camera-sites have been downloaded for the day and the photographs have been correctly catalogued, you will have some free time. Wildlife ACT is officially contracted by the international wild cat organisaiton, Panthera, to conduct Leopard population surveys within KwaZulu-Natal. 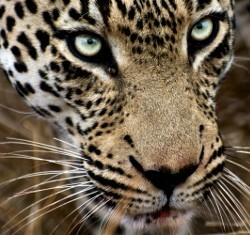 This project was started due to high hunting levels outside of the game reserves causing the Leopard populations within protected areas to decline. In response to this Panthera, together with Ezemvelo KwaZulu-Natal Wildlife, worked together to rewrite legislation regulating the trophy hunting and control of Leopards that may enter outside communities. This project is continued, now with the aid of Wildlife ACT, to ensure that the new regulations are adhered to and are sustainable for the years to come. For more information visit the Panthera website. With the use of Camera-Trap Surveys we are able to estimate the density and gauge population trends over time. At specifically chosen reserves, the project sets up a minimum of 30 camera-trap stations, each of which has two camera-traps (to capture the left and right hand side of the animal). The stations are set-up along roads, animal paths and other areas (such as river beds or drainage lines) which Leopards may frequent. The surveys are spread across an area that covers 100 – 120 km2 and runs for 50 days before moving to a different reserve. Estimates of Leopard population size in any given area are determined using capture-recapture models which is why this survey will run within KwaZulu-Natal for up to 5 years. We collect all arriving participants from RICHARDS BAY, which is the closest Airport. You will have to book your INTERNATIONAL FLIGHT to arrive at JOHANNESBURG, and then book a short internal connecting flight, from Johannesburg to RICHARDS BAY. For arrival, participants can choose to either fly in to Richards Bay on the SUNDAY, and to then overnight at a B&B close to the Airport, OR to arrive on either of the following flights arriving in Richards Bay on the MONDAY: at 09:15 AM, or at 12:50 PM, if they prefer not to overnight on Sunday. Flights arriving later than 12:50 on the Monday are TOO LATE for us to collect you! Important Note: Please be aware that if you arrive on a morning flight, you will have a few hours to wait until the transport service arrives to collect all arriving volunteers from Richards Bay Airport at 12:50. We suggest you wait in the small coffee shop within the Richards Bay Airport. You will be comfortable and safe there, and they do sell beverages and light meals/snacks so you can sit and read or work on your laptop. 13:10 PM; 15:00 PM; 16:35 PM; or 18:40 PM on the MONDAY of your departure. Important Note: Please do not book flights departing from Richards Bay earlier than 13:10 PM, as we will simply not be able to get you to the airport in time, from the reserves. All 5 accommodation venues listed in the attached document will COLLECT our participants from the Richards Bay Airport, on the Sunday. (This airport collection is included in the listed accommodation price). These 5 venues have also ALL agreed to transport our participants BACK to the Richards Bay Airport on the Monday – FREE OF CHARGE – thereby making collection quicker from our side. Please make sure to request this service as a Wildlife ACT volunteer, in your booking enquiry with them. If participants book any other accommodation in Richards Bay, they will need to arrange and pay for their own taxi’s to get back to the Airport on Monday. Participants will need to be at the Airport NO LATER THAN 12:30 PM if they plan to make their own way to the Airport. When you arrive at Richards Bay Airport you will be collected by an organised responsible transfer company. A Wildlife ACT staff member will be accompanying the transport vehicle to Richards Bay to supervise the collection and drop off, of all the participants. He/she will have a copy of the transport schedule including all your photographs, and so will the driver. They will find you in the (VERY) small Airport: either in the small arrival area or in the little coffee shop within the airport if you arrive early. All arriving conservation volunteers will be transported by the transfer company to a central meeting point where you will be met by your respective Wildlife ACT monitors, who will then take you into the reserve on the back of a monitoring vehicle. On the Monday of your departure you will be transported back to Richards Bay Airport to catch your departing flight home.